Helping people live better lives. DHHS’ Highlights is published by the Nebraska Department of Health and Human Services for those interested in the latest information on health and human services issues. Please subscribe to or share the newsletter by clicking on the "Share" button. "Safe, Secure Seniors: Legal Services to Protect Older Nebraskans" is a 30-minute television program which touches on key legal issues for seniors. It is produced by DHHS’ State Unit on Aging and will be shown on NETV2 on August 14 at 8:30 p.m. CDT and August 17 at 2:30 p.m. CDT. It is also available online at netnebraska.org. The program features legal experts discussing consumer protection, guardianship, conservatorship, advance directives and other legal issues relevant to seniors. The program is moderated by Mark Feit of the Nebraska Alzheimer’s Association and panelists include Margaret Schaefer, Legal Aid of Nebraska; Debora Denny, Dispute Resolution & Special Court Projects; Judge Susan Bazis, Douglas County Court; and Mary Wilson, Buford Law Offices. Pictured are Mark Feit, Alzheimer’s Association and Margaret Schaefer, Legal Aid of Nebraska. The Tobacco Hurts Business website provides Nebraskan employers with resources to help them establish tobacco-free worksites. Tobacco Free Nebraska (TFN), the state’s comprehensive tobacco prevention program, created the website and recently added video testimonials from Nebraska-based companies that have successfully implemented tobacco-free policies. 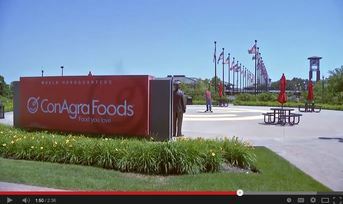 The videos feature representatives from ConAgra Foods and TekBrands. Both of the Omaha-based businesses have benefited from tobacco-free policies at their worksites. 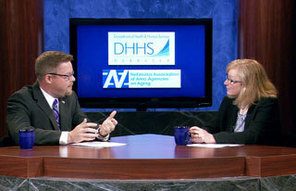 Two DHHS areas were recently honored for their support of military employees. The Lincoln Regional Center recently received the Employer Support of the Guard and Reserve (ESGR) Above and Beyond Award. The award is presented to employers in Nebraska who have supported their military employees beyond the legal requirements established by the Uniformed Services Employment and Reemployment Rights Act (USERRA). Sergeant Steven Diefenderfer, team leader at LRC, nominated his employer for the honor. Valerie Hankins, human resources manager for DHHS’ Eastern Service Area, was also recently honored for her work with Scott Bergmann, Division of Developmental Disabilities service coordination supervisor. Harkin received a Patriotic Employer Award for helping to get Bergmann promoted while he was away on reserve duty. 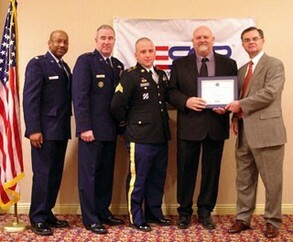 Pictured in the photo, from left: Major Ken Blake; Brigadier General Rick Evans; Sergeant Steven (Kyle) Diefenderfer (LRC Team Leader); Craig Cooper, LRC Associate Director of Nursing; and Walter Zink II, Nebraska Chair of the ESGR at an awards ceremony May 17. Recently, DHHS submitted its Nebraska’s Children’s Mental Health System of Care Plan to the federal government. In 2013, the Division of Behavioral Health was awarded $500,000 to develop a plan for a system of mental health services for Nebraskan children. The plan outlines strategies to improve the mental health system for Nebraskan youth and families. It includes input from more than 1,100 people. The effort was led by DHHS’ Division of Behavioral Health and the Division of Children and Family Services. The plan also includes input from the behavioral health regions and family organizations. The Western Nebraska Veterans’ Home in Scottsbluff has earned a deficiency-free survey from the U.S. Department of Veterans Affairs for the fifth time. The facility had no deficiencies in the areas of life safety, resident care, environment, staff training and development, dietary-food service, banking and billing services, recreation/activities, medical staff credentialing, social work, and all areas related to quality assurance and care. 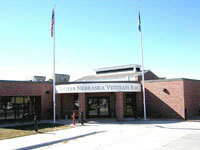 DHHS’ Division of Veterans’ Homes includes facilities in Bellevue, Norfolk, Grand Island and Scottsbluff. There are 1,311 public water systems in Nebraska. That number includes big systems like the Metropolitan Utilities District serving Omaha and small systems like the Starlite Ballroom system near Wahoo. Most of the water Nebraskans drink is groundwater while only a few systems obtain their drinking water from surface water. Big or small systems, surface water or groundwater, the Public Water Supply Program oversees all of Nebraskans’ drinking water. Check out the program’s 2013 annual report to the Environmental Protection Agency to learn more about your drinking water and how the Public Water Supply Program keeps it safe. Four Nebraska veterans received driver's licenses with veterans’ designations during a presentation this summer at the Eastern Nebraska Veterans Home in Bellevue. Gov. Dave Heineman presented the licenses to World War II veteran Joseph Vocelka, Korea War veteran Richard Aube, Vietnam War veteran Grace Ford and Operation Iraqi Freedom veteran Kimberly Mahlberg. Veterans could apply to add the new designation to their driver's license or state identification card as of July 1. The designation was made possible by the passage of LB 93 signed into law on June 4, 2013. For more information on getting a veteran's designation on your driver's license or state identification card, visit www.veterans.nebraska.gov. Gov. 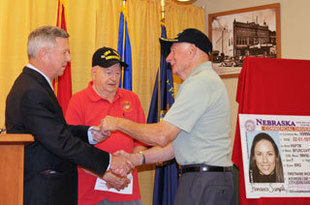 Dave Heineman (left) presents driver’s licenses with the new veterans’ designation to World War II veteran Joseph Vocelka (center) and Korea War veteran Richard Aube at the ENVH.